Where do you turn to find tips on saving money, being frugal or not overspending? With so many books, websites and stuff available, it all can be overwhelming. Still, the right product for your family can make life great. Think about the extra money that you can put away for a vacation, raining day or extra cushion. 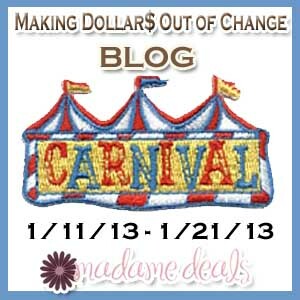 More 4 Mom's Buck has joined with several other bloggers to bring money savings tips, ideas and products to you! Check out all the great bloggers with ideas that you might have tried, might want to try or just can't believe are true!